You’ve been blogging for almost a year now and you’re still struggling to build up the traffic to your blog. Building up blog traffic can be challenging but it is not impossible to do it. 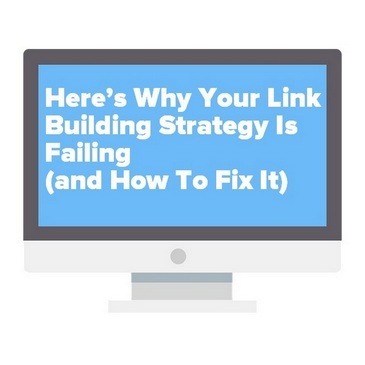 The key will be in the amount of consistency with the proven traffic generation strategies. 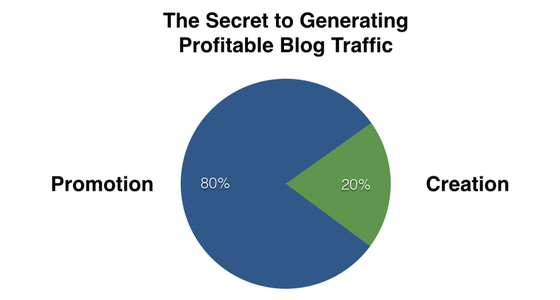 Today, I’m going to teach you a proven content marketing strategy for blog traffic. If you are looking to drive more traffic to your blog you want to read this entire blog post. The internet runs on information. Content is what drives this world and the virtual world. Bloggers are the ones who create most of the content shared online. If you want to become a successful blogger you must be a prolific content creator. You want to create and share unique, valuable, content as often as possible. Learn as much as you can about your niche audience, the problems they are having, and create content that solves these problems. The more you help by solving problems in your niche with your content the bigger the audience you can build within your niche. One important key to a successful content marketing strategy is the expertise you bring to the table. Become an expert in your niche. It is important that you choose a niche you are passionate about prior to building your blog. A lot of passion is necessary to become a successful blogger. If you want to be able to make money blogging choosing a niche you are very passionate about is a must and not just an option. I’m going to be very blunt with your right now; if you are not passionate about the topics you are blogging about you will fail. Don’t chase the money chase the passion. Now, I’m not saying that you should get started blogging in any niche just like that because not every niche will be very profitable. At the end of the day, you do need to pay the bills. What I suggest is to take the time to do a research to find the many profitable niches you are more likely to be passionate about or at least have a big interest in to eventually become passionate about the topics. Building an income with your blog is not hard but it does take the right process and the right blueprint to make it happen. You want to pick a profitable niche where you can have a passion for helping others in the niche. 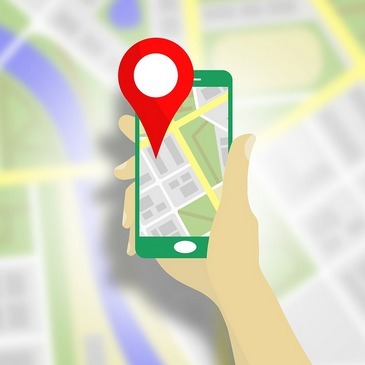 Once you know your niche you need to start the building process and treat this like a real business. You need to become a smart blogger. Invest in your blogging and internet marketing education. That’s what I’ve done to be able to make money online blogging. You need the right education and the right guidance in order to build a profitable blog in any niche. If you are very new to this blogging business I’d highly recommend you to invest in a coach or mentor if you can afford it. You need to know exactly what you need to do and the steps you need to follow in order to take your blog to the next level. One effective strategy to drive targeted traffic to your blog is content marketing. Content marketing is a great way to brand your blog, brand your name, and build an audience in just a few months. The amount of traffic you get from your content marketing strategy will depend on a few factors. First, you must create a content marketing plan that you can follow on a daily basis (or when you can). In order for you to create that content marketing plan, you need to know exactly what you need to do and how. 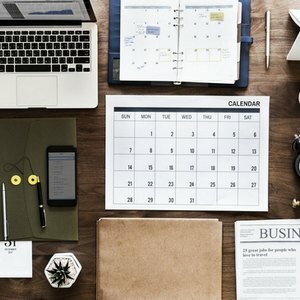 The basic concept of a content marketing strategy is simple; it’s all about sharing valuable content in as many places as possible and recommend people to visit your blog to keep learning from you. For instance; guest blogging is a content marketing strategy. Guest blogging is where you contact other blog owners in your niche and ask them for an opportunity to submit a guest post (article). By doing this, you are able to benefit from an existing audience in exchange for real value for the people in the niche. In order for you to get the steady targeted traffic from guest blogging, you must do it consistently. You can’t submit one or two guest posts and expect traffic to flow in just like that. You must implement the 80/20 rule. In order to take your blog to the next level, you will need to spend more time blogging on other blogs and sites than on your blog. This is the secret of the most successful bloggers online. You should blog all over the internet. Not just on your blog. You should share valuable articles on other blogs (guest blogging) and community sites that allow you to publish content (sites like medium.com, etc.). A simple marketing strategy where you are sharing unique, valuable, content on other sites and link back to your main blog. 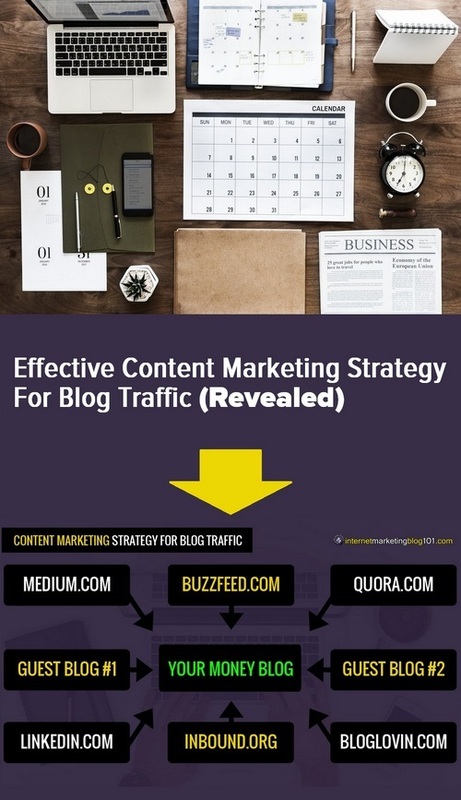 This content marketing strategy can help you drive more targeted traffic to your blog and also help you get some good backlinks to help you with your search engine rankings. So, this content marketing strategy is super effective. This is the same strategy I’m currently implementing to build the traffic to my internet marketing blog. In this content marketing strategy, we are going to blog on different sites where you can leverage the audience to brand your blog and name, get some backlinks, and gain some new visitors in the process. 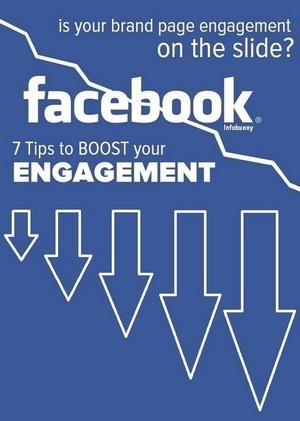 This will also help you boost your online authority. The more valuable content you share on such sites the bigger the authority you will build in your niche. I would also highly recommend you to guest blog on a few other blogs on a regular basis (each week). Here is a list of blogs where you can share guest posts. 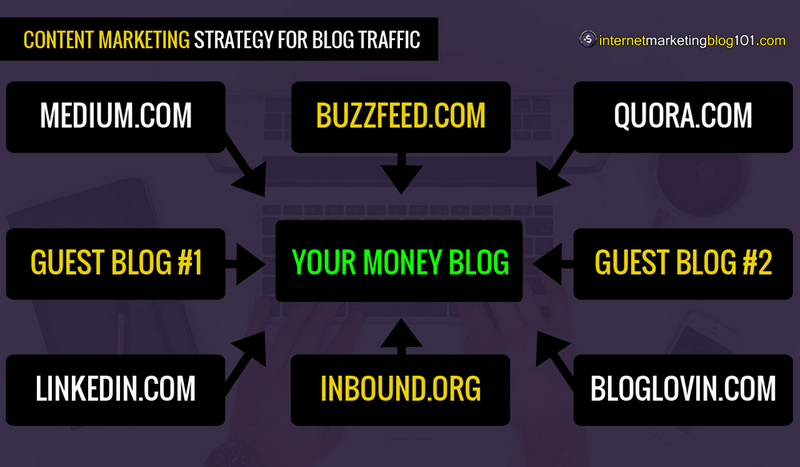 This is a simple content marketing strategy for blog traffic. The concept is simple to understand – the real challenge is in the work you need to put consistently. You need to promote your blog on all of these sites and on a few guest blogs every week. Share content your target audience needs. Share original content that solves specific problems for the people in your niche. This is an important key to a successful content marketing strategy to boost your blog traffic. 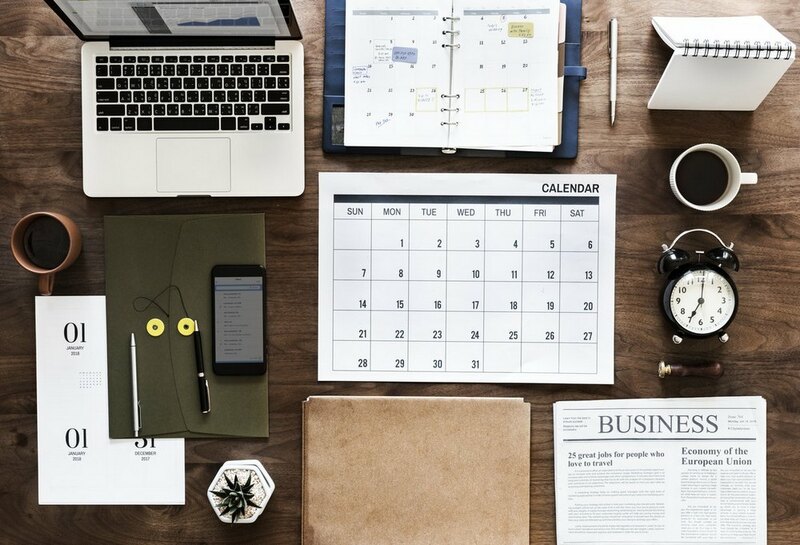 Once you know where you want to share content with your target audience create a content marketing schedule that you can follow daily or weekly (according to your life’s schedule). For instance; on Mondays you publish a new blog post on your blog, on Tuesdays you publish a guest post, on Wednesdays you publish a new article on Medium.com, on Thursdays you publish a new article on Quora.com, and on Fridays you publish a new article on LinkedIn.com, and the following week you switch it up and publish a new article on different sites. And so on. You are your own boss here so it is up to you how you want your content marketing schedule to be. I know this is a lot of writing and for a new blogger, it can be intimating just thinking about it. This is why I’ve mentioned at the beginning of this blog post that you want to become an expert in your niche. You want to be constantly learning and growing your knowledge so you can never run out of content ideas. In order for you to build a profitable blog in a niche, you have to do all of this and more. You have to become a prolific content creator and a productive internet marketer. Do you see now why passion is very important? If you are not very passionate about the topics in your niche you will burn out easily. And you don’t want to burn out. It’s not a good feeling! Jumping into blogging blindly is a recipe for failure. You need to have a blueprint that you can follow before you even begin blogging. I made this mistake myself and I failed miserably over and over again. It wasn’t until I actually took my blogging very seriously, started treating it like a real business, created a proven strategy to grow my traffic, boost my blog conversions, and build my audience, that I started to succeed. The truth is, if you want your blog to pay you like a real business then you need to treat it like one. Building an online income blogging is not impossible. Anyone can do it – but not everyone will. And that’s because not everyone is willing to put in the necessary work to make it happen. It does take a lot of time and effort to take your blog to that level of success. It’s not for everyone. That’s for sure. There are no shortcuts here. And people looking for shortcuts are the ones who always fail. Every single successful blogger you have read about had to put in all of this work at the beginning of their blogging journey. No one has escaped the hard work! But, here is the beautiful part; the harder you work now the less you are going to have to work later on as you accomplish your blogging goals. Your hard work building your blog will really pay off over time. That is guaranteed if you guarantee the hard work and you are consistent with what you need to do. 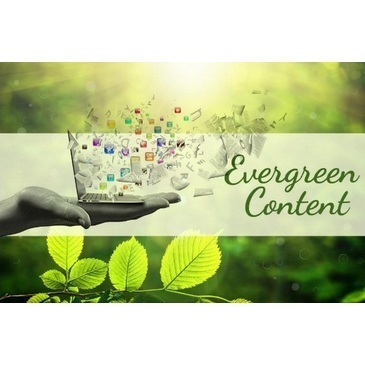 Are you currently implementing a content marketing strategy to grow your blog’s audience? What are you doing to boost your blog traffic right now? Anything you would like to add here? A tiny request; if you know someone who would benefit from this information please share this blog post with them. Help me help them. I’d really appreciate your support. 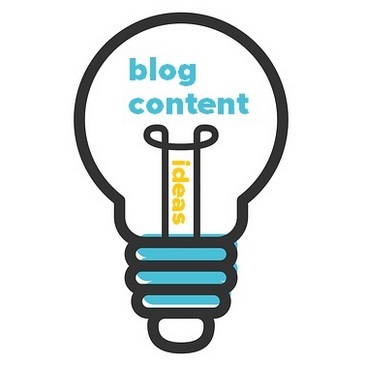 You are looking to boost your blog traffic with content marketing, right? You need to learn how to become a prolific content creator in order to get more traffic with content marketing. Learn an effective content marketing strategy for blog traffic that you can start implementing today! It is a passion of mine to help others accomplish their goals in life. I started my blogging journey in 2011. I have a lot of blogging and internet marketing experience. So, I can help you take your blog to the next level. Learn more helpful tips and valuable knowledge at my internet marketing blog. - I really appreciate your visit and your support. Please, help spread the knowledge by sharing this blog post - Thank you so much! This is such a great content. 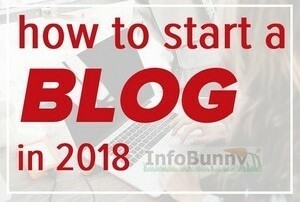 I can see that this post contains such great strategies which could help a new blogger to learn. I am also new on steemit and i believe this will help me a lot. The part to follow passion instead of money is so true, and the part where you have told to be persistent and constantly posting blogs. I also liked that you said focus more on promotion the 80 – 20 rule, but i would love it, if you give an example based on steemit, i think it will make me understand that part a much better. Amazing post i read through it and this looks a lot of effort. I’m glad you’ve found this information helpful. What a right timing for me to see this blog. I have been experiencing an issue of boredom on how to overcome blog traffic. I love your 80-20 rule and would love to apply this soon. I am still not confident with my output but yes I agree to put in a lot of hard work because it surely pays off in the end. Thank you for reminding me through this informative blog I will try to expand my horizon being able to know this strategy. The 80/20 rule works great if you work consistently. You have to dedicate time and effort to boost your blog traffic. It takes time and it is all worth it. 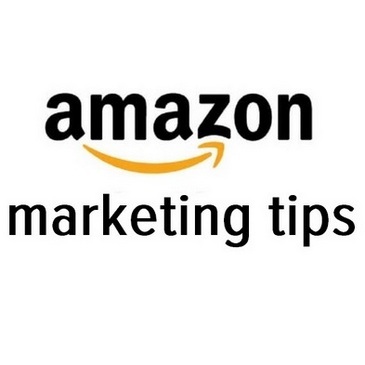 I’m happy to hear these tips are helpful to you. Thank you for sharing such a wonderful and informative post. 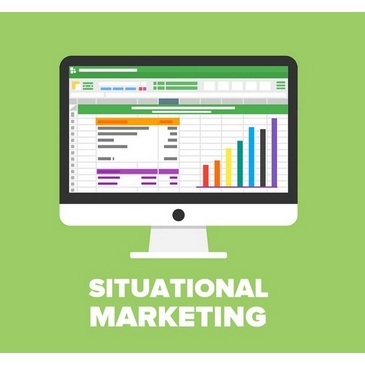 It really is difficult to create that effective strategy in order to entice the audience. I’ve been reading a lot on the internet and joining some seminars to enhance my skills. Anyways, love your post, will surely take note of this. Cheers! You blog is very nice. I always read your blog at daily basis In your blog you share nice information. Hi Freddy, I totally agree with you all the promotion techniques for a blog that you have mentioned in your post especially the 80/20 method. There are great resources in your blog, so thank you for that. Hope to see more from you. Freddy do you apply the 80/20 rule to social media as well? Following your passion is the way to go Freddy; goodness knows, you’re passionate dude! This carries you through ups and downs and everything in between. But to see things through traffic-driving-wise we want to be passionate over the long haul. Only way to enjoy the ride while seeing increasing success. We appreciate all your time and trouble Sir and THANK YOU!! Magnificent website. A lot of helpful information here. And of course, thank you for your effort on with this write-up. We honestly think this amazing site needs a great deal more attention.Our Student Consultancy Firm in Dhaka also will probably be back again to read through more, thanks for the information. We sending it to a few people and also sharing delicious. Totally agree with this. Sometimes what people really need to do is to also be dedicated to their marketing strategy as much as they are to their content. Sometimes they get contented with their content that they put so much trust in it, without really putting so much effort into their marketing. Anyways, great points you have there. Cheers! Thanks for sharing this blog with us, your blog contains very important information for us, the nice blog really helpful I appreciate your work and effort. The blog was absolutely fantastic! 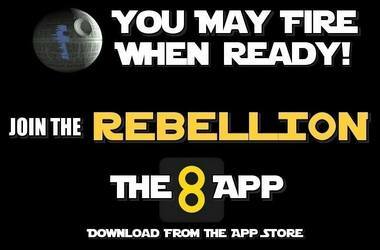 A lot of great information which can be helpful in some or the other way. 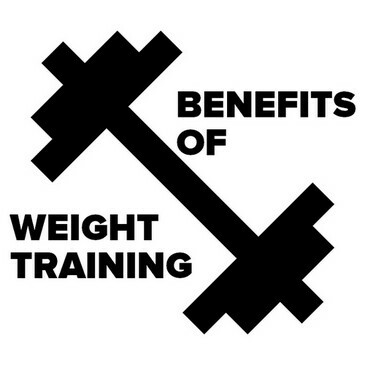 This is a considerable post – So clear and easy to follow on the subject of. Great insights.